Despite their relatively short life span, HSAs are among the fastest-growing tax-advantaged accounts in the United States today. In 2017, HSAs hit 22 million accounts for the first time, but a massive growth in HSA investment assets is the real story. HSA investment assets grew to an estimated $8.3 billion at the end of December—up 53% year-over-year (2017 Year-End Devenir HSA Research Report). What many people don’t realize is that yearly HSA contributions can be tax-deductible. Account holders who use their HSA to pay for co-payments, prescription drugs, and the thousands of over-the-counter health products that tax-advantaged HSA funds can cover can save money in taxes each year. Whatever remains can be rolled over to the next year or saved for retirement. Employees can also choose to take a long view on their HSAs and use them strictly as a retirement savings vehicle. This leaves employees facing the question: Do I spend or save my HSA? What’s the Best HSA Strategy by Income Level? HSAs have immediate tax-saving benefits and long-term retirement potential, but they require different savings strategies based on your income level. Ideally, if you have the financial means to do so, putting aside the HSA maximum each year may allow you to cover health expenses and save for retirement. But even if you’re depositing far below the yearly contribution limit ($3,500 individual; $7,000 families for 2019), your HSA can provide a boost to your financial wellness now and in the future. HSAstore.com has researched the profiles of primary HSA user groups through partnerships with HSA plan providers and developed the following tips on potential spend/save strategies for different types of employee groups. Disclaimer: These personas are for illustrative purposes only, and in all cases, you may want to speak with a tax or financial adviser. Information provided should not be considered tax or legal advice. For the vast majority of young professionals starting out, health care is not at the top of their budget priorities. However, high-deductible health plans (HDHPs) have low monthly premiums, and by contributing to an HSA, an account holder can cover these expenses until the deductible is exhausted. For this group of employees, starting off small and gradually increasing contributions as income increases is a sound financial solution. With many companies switching to all HDHP health plan options, a large contingent of workers find themselves using HDHPs for the first time. For this group, it’s all about finding the right balance between tax savings and the ability to cover necessary health expenses. Setting aside money in an HSA will allow workers to reduce how much they pay in taxes yearly by reducing their taxable income while being able to pay down their deductible with HSA funds at the same time. Low premiums from an HDHP plan are attractive for these employees, but parents will have far more health expenses to cover and more opportunities to utilize tax-free funds to cover health and wellness products. With more opportunities to spend down their deductible with qualifying health expenses and the resulting tax savings, parents should strive to put the family maximum contribution ($7,000 for 2019) into their HSAs. Employees who are in their peak earning years have the greatest opportunity to put away thousands in tax-free funds through an HSA. So whenever possible, they should be encouraged to contribute the largest-possible allocation to their HSAs on a yearly basis. Additionally, employees aged 55 and over can contribute an extra $1,000 to their HSA annually, until they reach Medicare age at 65, to fast-track their HSA earnings. What Else Should Employers Know about HSAs? Employers should consider contributing to their employees’ accounts on an annual basis. Employer contributions to an HSA are tax-deductible, and this has the added bonus for employees of making it easier to max out their contributions annually. Remember: Employer and employee contributions cannot exceed the yearly HSA contribution limits, so make this information clear to employees during open enrollment. 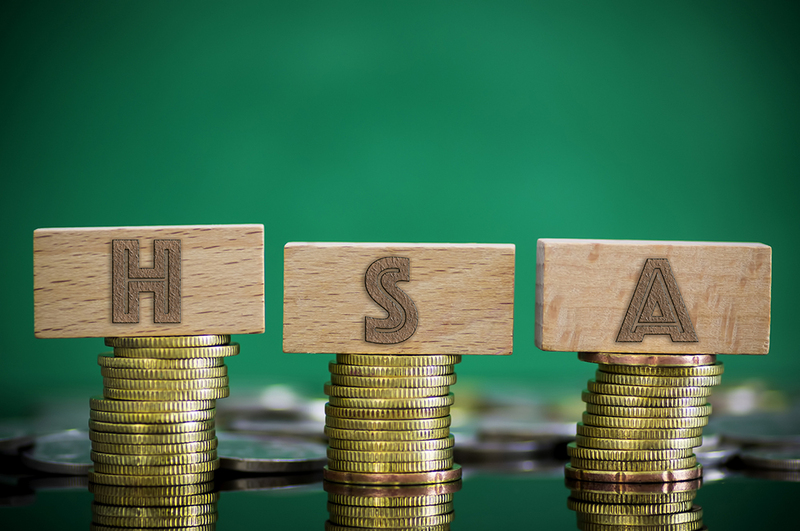 If employees are still on the fence about HSAs, remind them that eligible expenses can be paid for with HSA funds, and yearly HSA contributions are tax-deductible for employees, as well. Sean Hanft is a Flexible Compensation Specialist (FCS) with FSAstore.com/HSAstore.com, companion websites dedicated exclusively to consumer education and selling products that are eligible for reimbursement with an FSA or HSA.